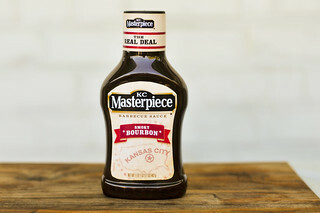 With a strong tartness and solid Worcestershire base, this sauce delivers immense flavor, although that heavy-handedness may not be best suited for everyones palate, or all types of meat. 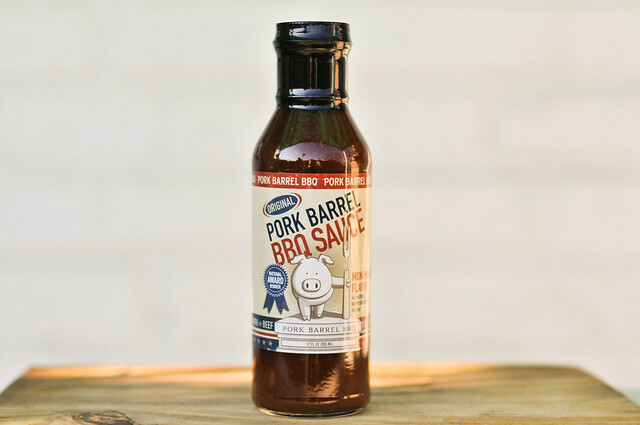 I jumped on a special offer Pork Barrel had on their Picnic Pack—that's your choice of four bottles of their sauce—a while back, so that means I have a couple more bottles to work my way through for these reviews. While I've already covered their sweet sauce, and the Pork Barrel backstory along with that, I'll give you a very quick lowdown of the operation. Started in 2008 with just a spice rub, the Pork Barrel boys, Brett Thompson & Heath Hall, quickly built upon early success. 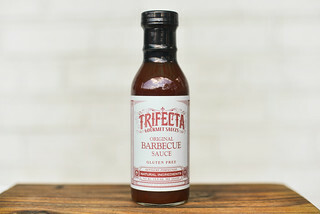 First they added a sauce, then raised some capital via the show Shark Tank, which allowed them to create more sauces, increase distribution, and finally open a restaurant in Alexandria, VA. 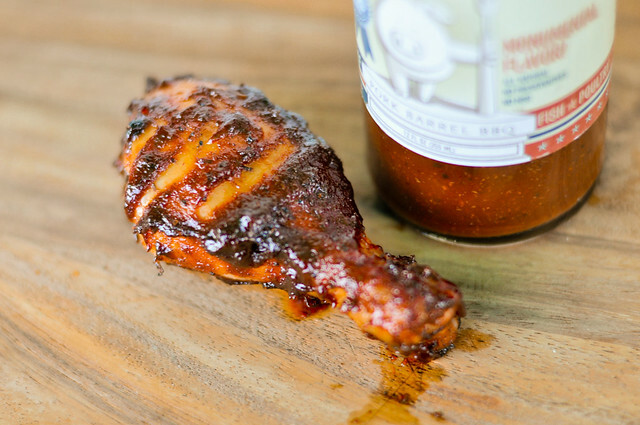 In just a few years, Pork Barrel BBQ has gone from small start-up to a full fledged barbecue empire with its own dedicated followers. Worcestershire is the name of the game in the aroma department—that ubiquitous complex mixture dominates everything else. Smell a little deeper and the ketchup quickly pops outs, along with little vinegar tartness, and a distinct smokiness. Altogether the sauce has a strong and unique aroma that shies away from sweetness and pumps up Worcestershire, which is more often found only as a side note. 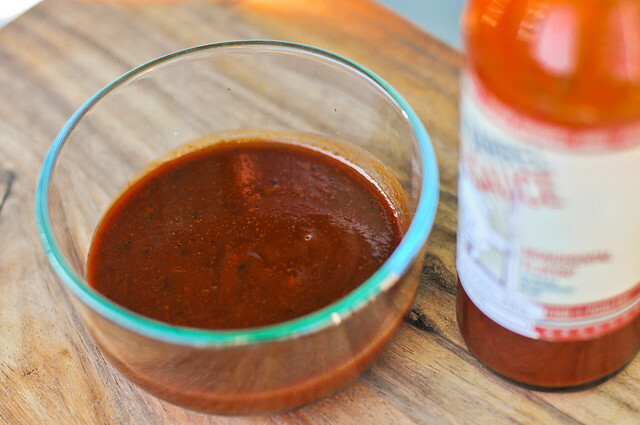 Through it's rusty orange hue, there are a ton of spices that can be seen in this sauce. These little specs give a fine texture to an otherwise smooth consistency that weighs in at medium-thin, flowing quickly and in a steady stream off of a suspended spoon. First taste is a mouthful of tartness, which quickly becomes more so, to a point where you may start to notice a little pucker come across your lips. Vinegar dominates the flavor profile, with Worcestershire hitting heavy from start to finish as well. As the sauce develops more tartness as it settles on the tongue, a spiciness and smokiness come out, but the array of spices are difficult to discern as the vinegar continues to reign supreme. Over indirect heat, this sauce was baking in nicely, but then started to burn off a bit when introduce to the more scorching direct heat. Never-the-less, I ended with a decent coating of sauce that was very textured due to all of the spices. As it was out of the jar, the sauce delivered on immense flavor, one whose defining characteristic was tartness. The heat did little to coax out any sweetness, and the flavor remained pretty much they same—tart, smoky, with a little spiciness. I personally found the strong tartness and dominating Worcestershire a bit off-putting with this sauce. The balance was off for me, with virtually no sweetness and a vinegar-heaviness that overtook almost everything else. 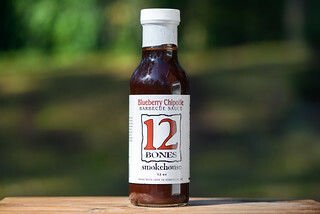 That being said, there's definitely a place for this type of sauce—and for people who don't like the sweet stuff, the unique blend of flavors here may be just what you're looking for. I thought it was too heavy-handed for chicken, but we all know what does love vinegar...pulled pork! Yup, I would try this on a pig pile of smoked and pulled pork shoulder, whose strong flavor could handle the upfront style of Pork Barrel Original.